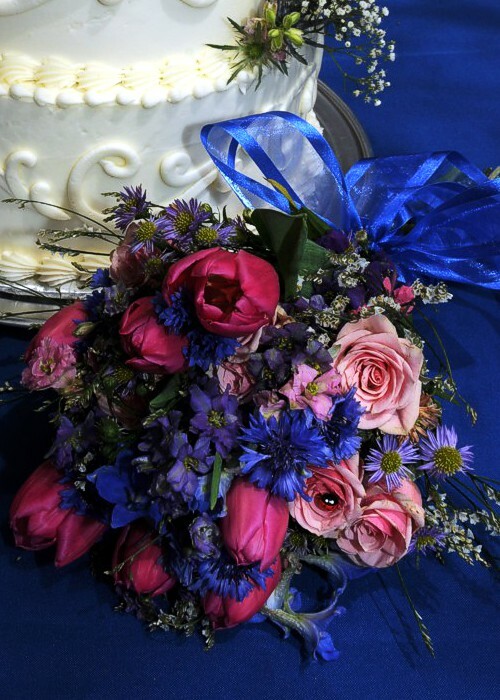 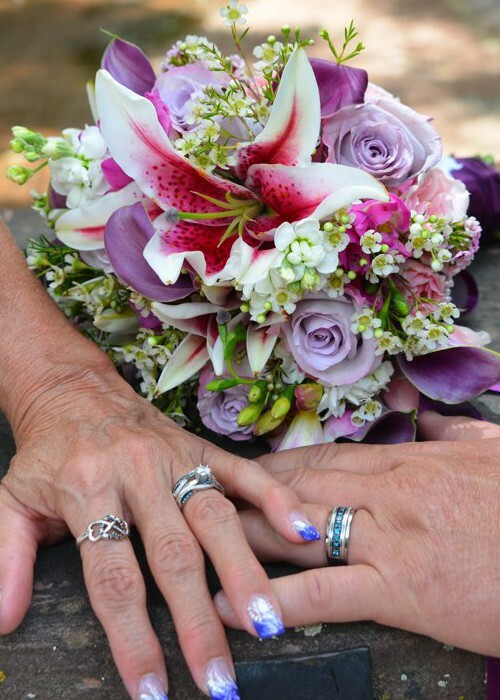 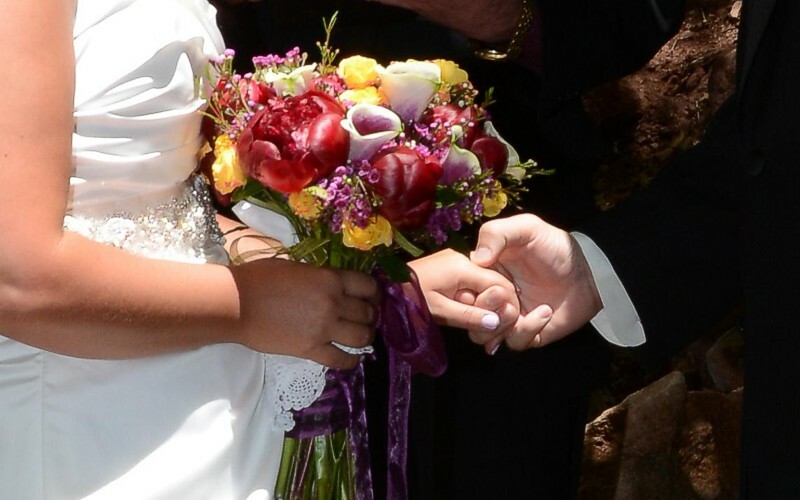 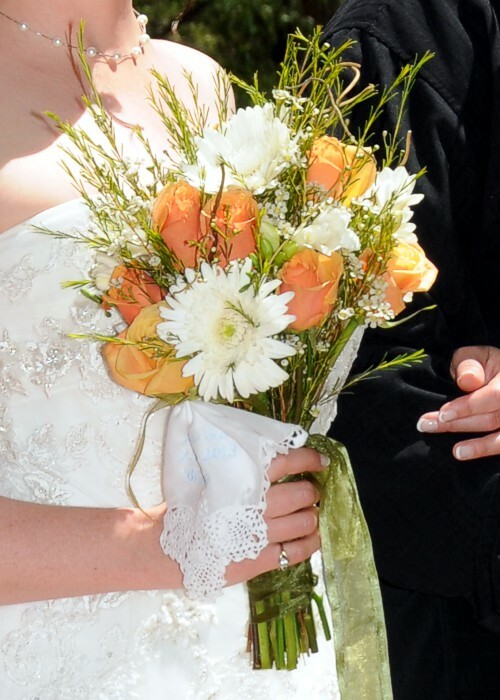 Flowers are a beautiful part of your Colorado all inclusive wedding package. 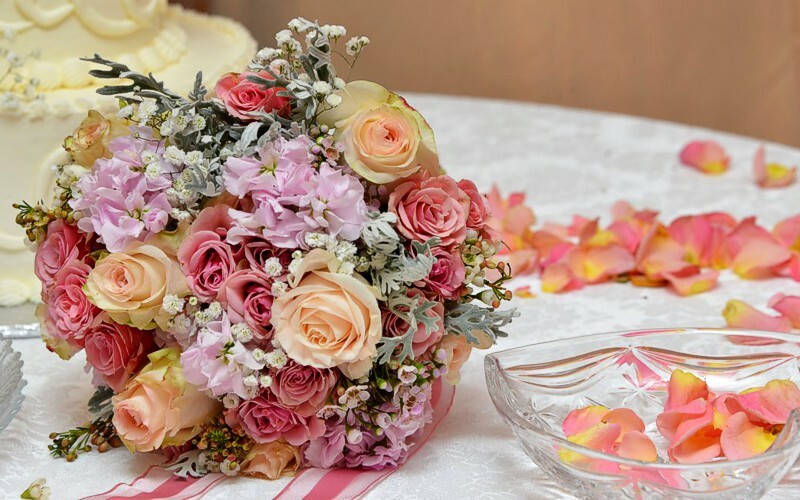 To set the stage for your wedding day, we scatter petals from a hundred roses in your path. 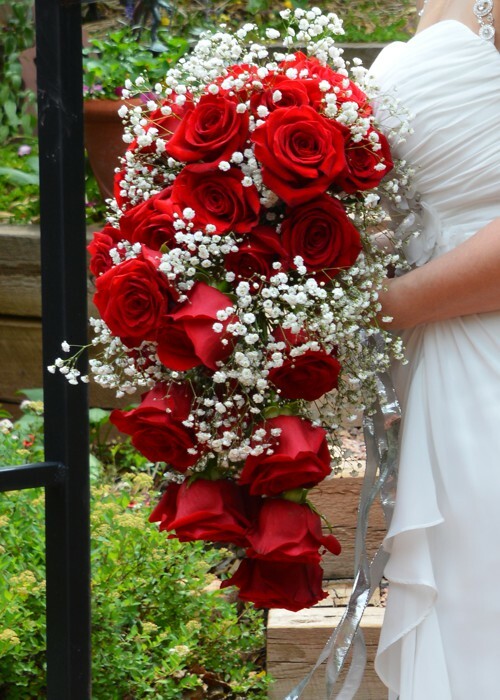 If flower girls will participate in your Rocky Mountain wedding, we make special baskets of rose petals for them. 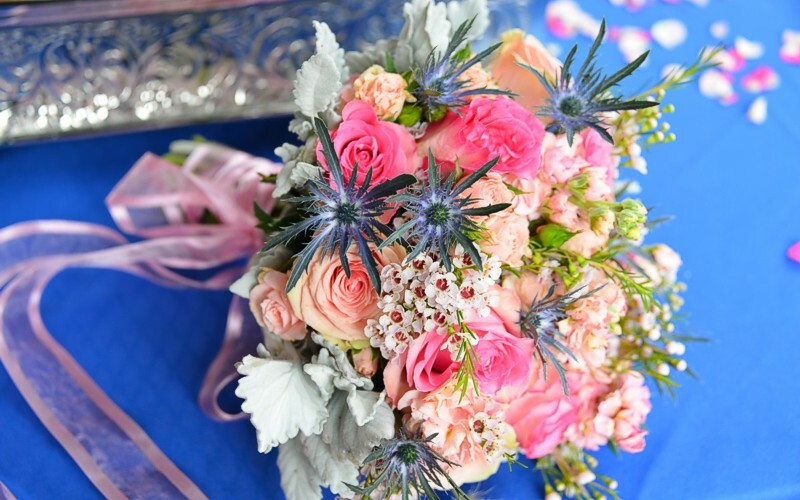 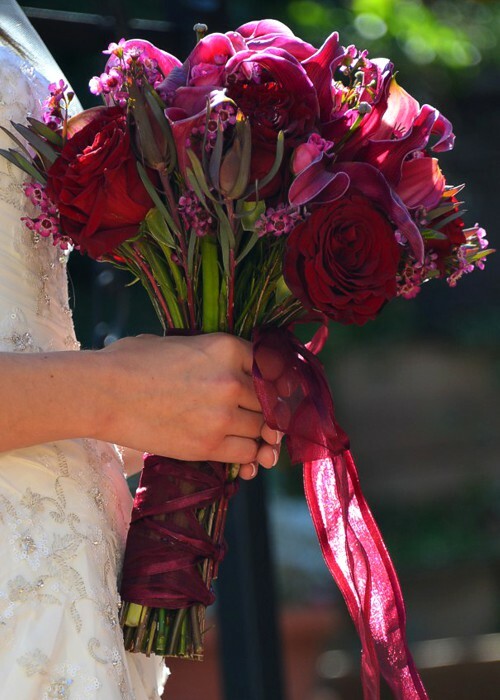 Central to the celebratory theme of all of our wedding packages is a stunning and unique bouquet made especially for the bride. 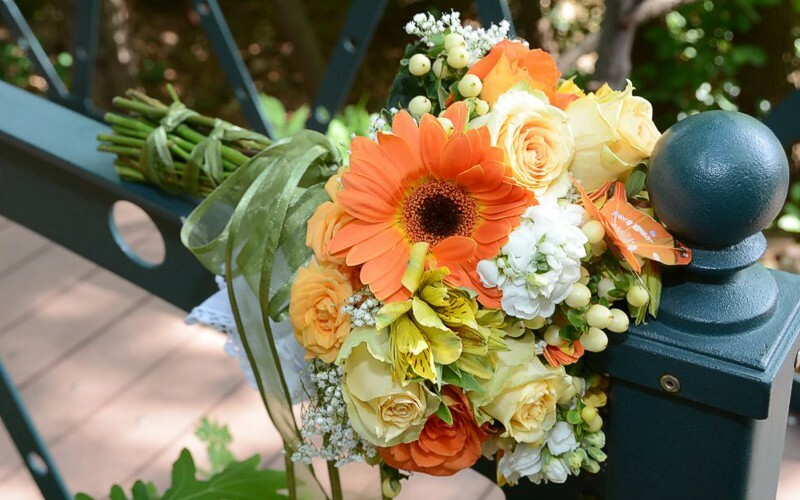 The bride, if she wishes, may help with the design of her bouquet, or she may just choose a few colors and let our floral designer do the rest. 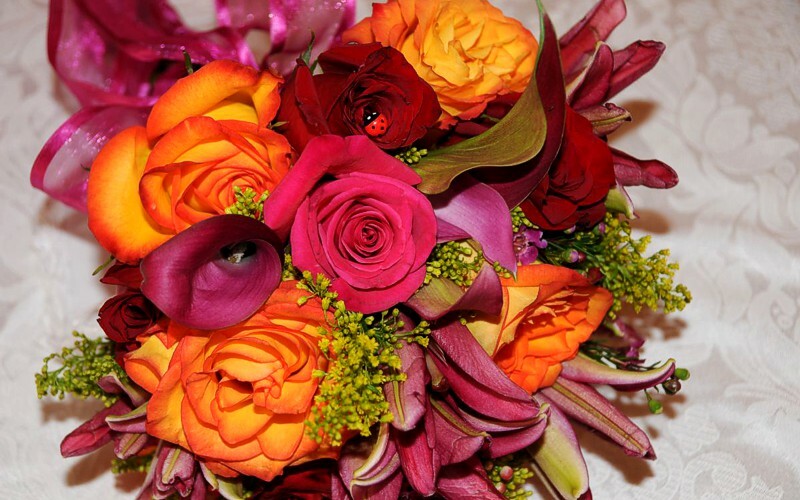 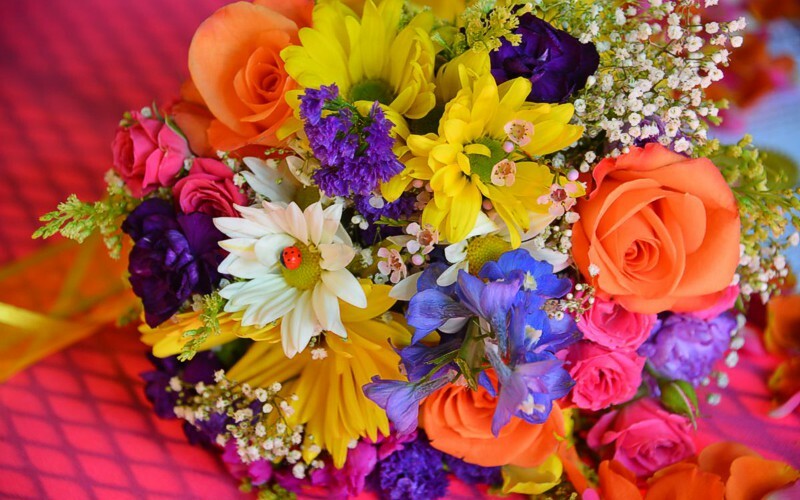 Choice of bouquet color is yours, and we will suggest other flower colors that might accompany it. 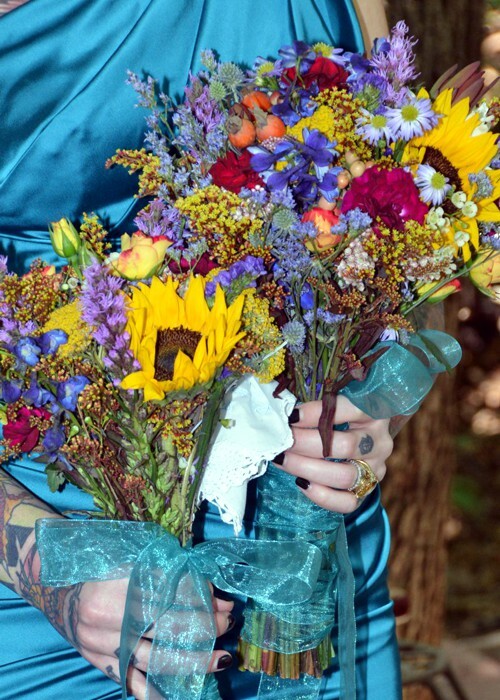 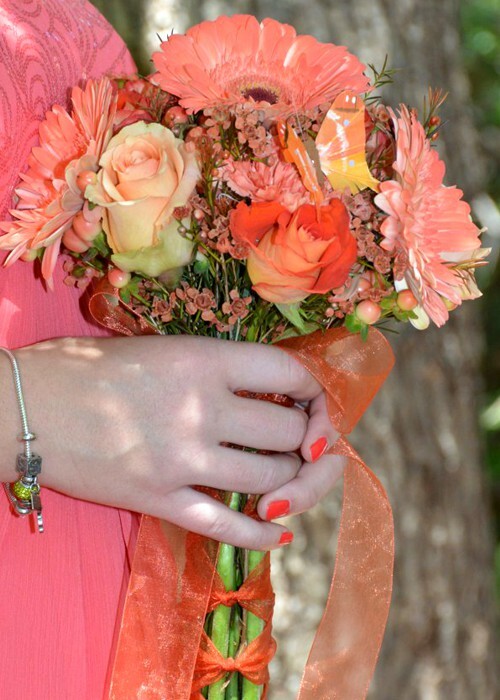 The bride may choose a bouquet to hold in front of her or one to rest on her arm. 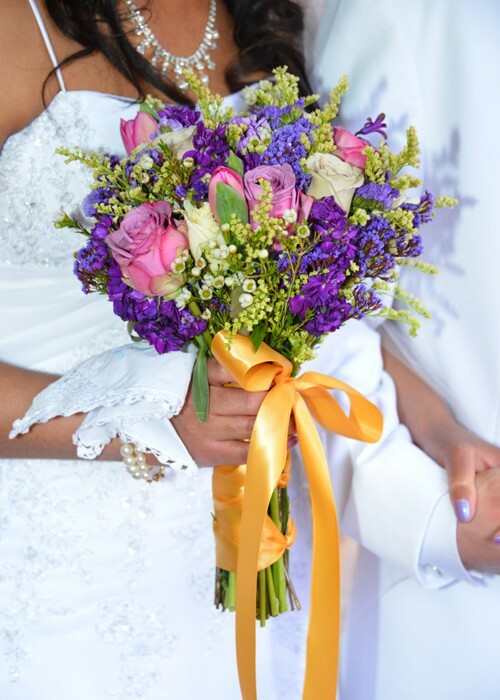 The wedding bouquet becomes a wonderful prop for photos, so choose interesting colors that are your favorites. 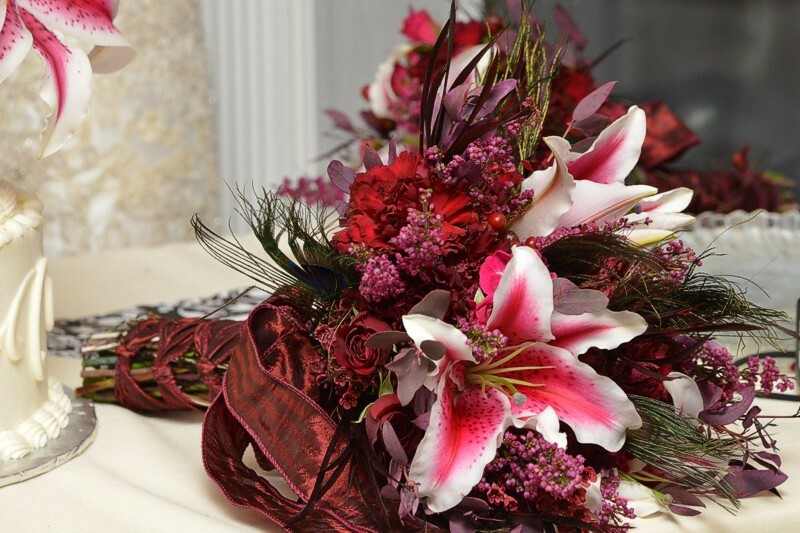 The bride's bouquet sets the theme for all other flower arrangements for your wedding. 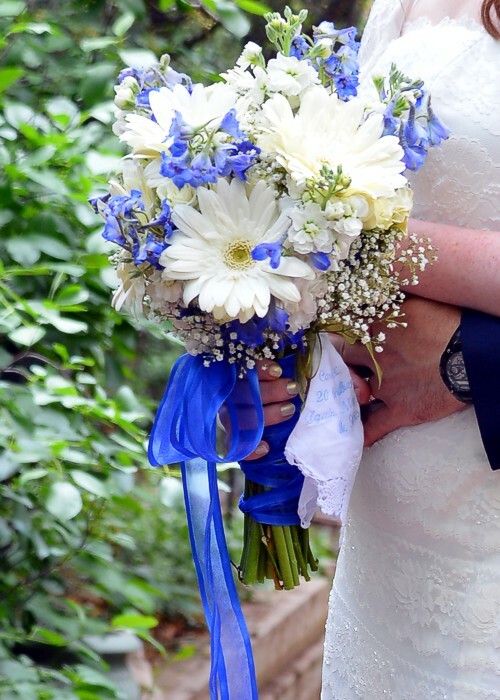 A matching boutonniere is made for the groom. 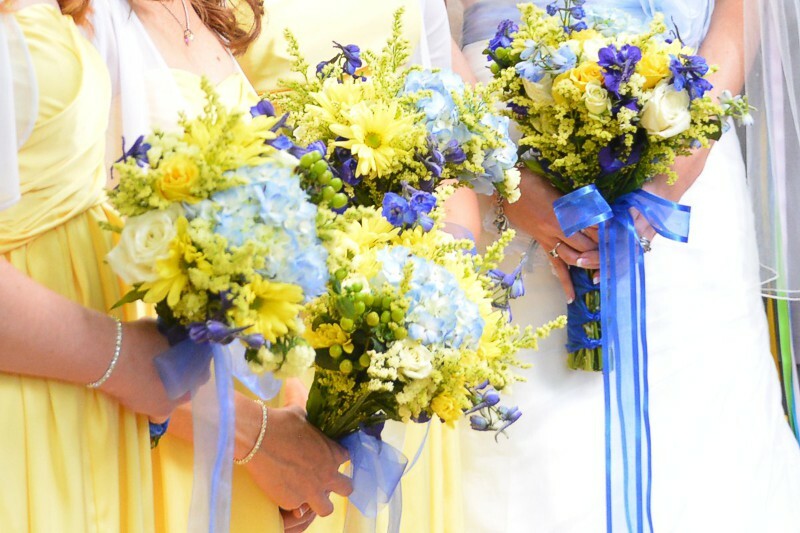 Other wedding flowers, boutonnieres, bridesmaids' bouquets, corsages and so forth, are made to compliment the colors and design of the bride's bouquet. 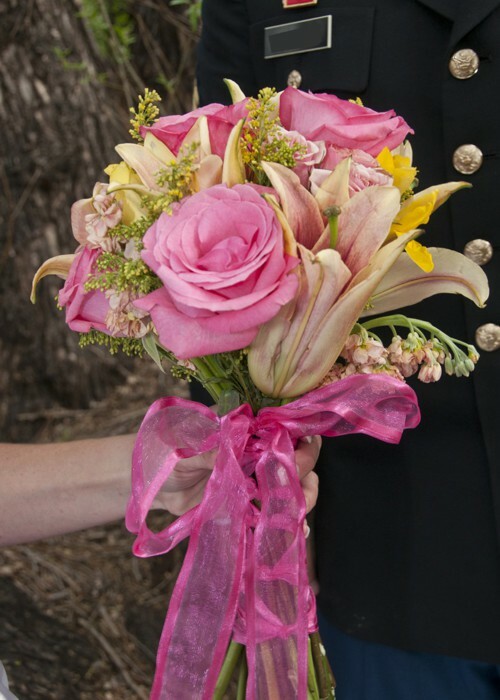 As you view these sample bouquets, you can get some idea of the variety of bouquets available. 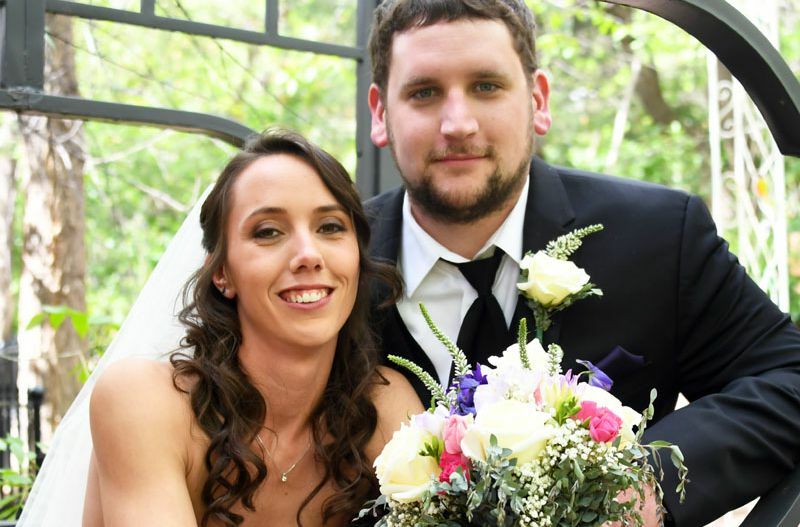 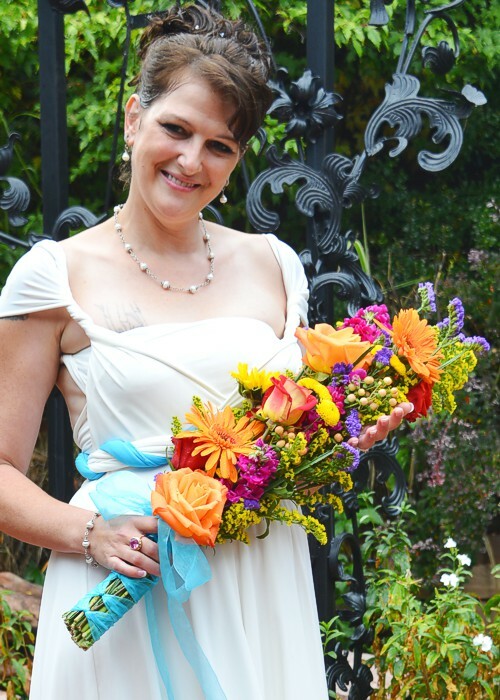 A Pikes Peak Wedding endeavors to design an individual flower arrangement and color scheme for each bride. 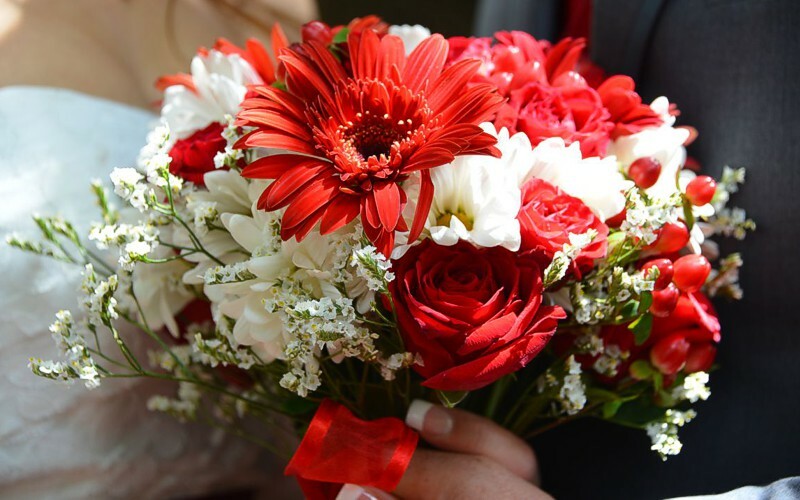 However, if as you view these pictures (or any other pictures on our website), you see a flower combination, a color-scheme or a particular arrangement that is something like what you had in mind for your bouquet, click on the picture and make a note of the wedding caption. 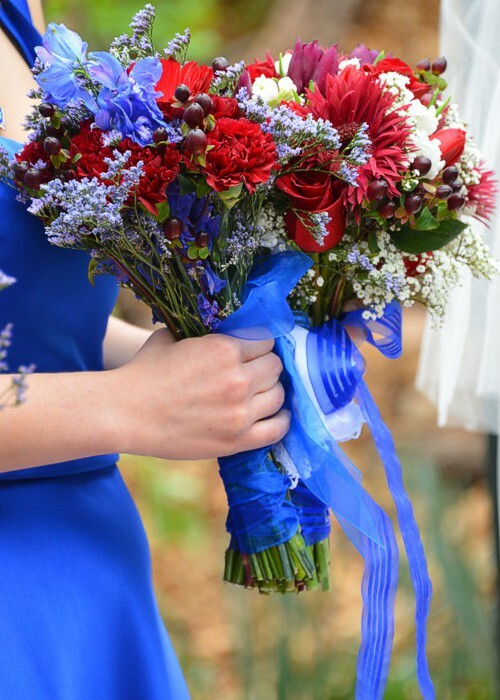 Let Sally know which bouquets caught your eye, and she will use your choices to make the exact bouquet you want for your special day. 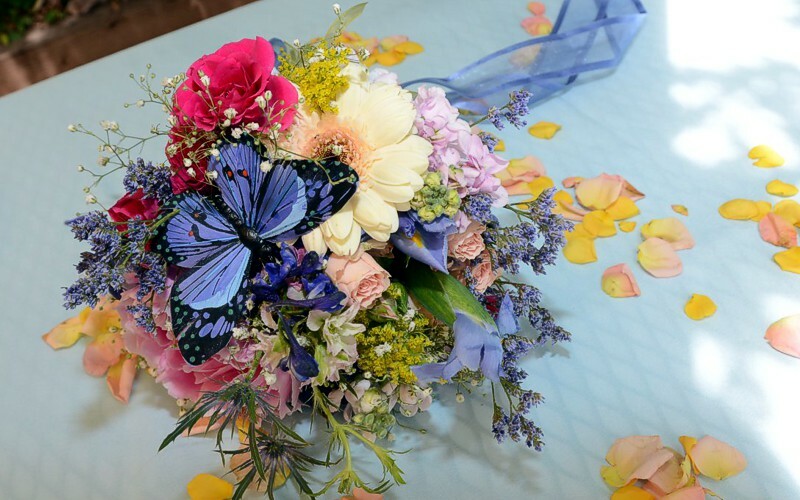 You can click on any of the pictures on this page to see more pictures of that particular flower arrangement used in the wedding ceremonies.